There are over 400 games on offer with a huge list of slots games. Jackpot City is an established online casino that’s been around for long enough to know exactly what players are looking for. We found Jackpot city to be a great all-round casino service that caters to a variety of tastes from the more traditional casino game types to arcade-style titles. The welcome offer at Jackpot City is a gem being both generous and well structured so that you can get the most for your deposits. Jackpot City has been available to Canadian casino players for a long time so it follows that the casino is well versed in what our needs are in terms of payment methods and other preferences. Jackpot City’s game catalog covers a wide variety of game types. There are over 400 games on offer with a huge list of slots games. All the most common payment methods are available. As a Canadian players you won’t have any trouble making deposits or withdrawals at Jackpot City. Not only is Jackpot City’s welcome bonus very generous at C$1,600, but it’s also laid out in an easy-to-understand way that allows you to make the most out of it. There seems to be a lot of promotional activity at Jackpot City. This takes form as both regular weekly and monthly promotional offers as well as special competitions that can reward you with cash, free spins or prizes. The Jackpot City customer support department is available 24 hours a day, all week. You can contact support via phone, email, or online chat. 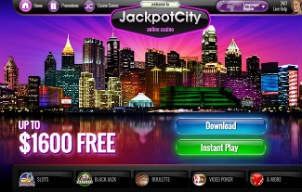 Jackpot City is available for mobile devices. The app is especially good for slots fans as most of th games are slots, but there are also classic table and poker games on offer. Jackpot City’s gaming platform is powered by industry leader Microgaming. This ensures that the software not only runs smoothly, but looks great and most importantly, is fun to play. If you’ve read some of our other reviews on this site, you probably noticed that we’re fans of Microgaming. It’s just great quality gaming for real casino fans. There’s a lot of attention to detail in these games and they’re always coming out with something new. 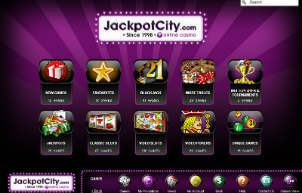 As the name suggests, Jackpot City also has a lot of huge jackpots waiting to be won at all times. Don’t worry, you won’t be playing for pocket-change jackpots here. Jackpot City has been catering to players from Canada for many years. They have experience with Canadian casino players and they know what our needs and preferences are with regards to payment processing. 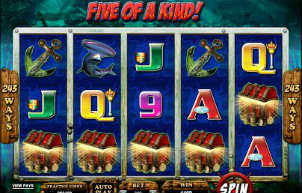 The casino offers all the major methods for online transactions. You won’t have any problem in this regard whether you make transactions from your home computer or mobile device. If you do have any difficulty with processing your payments, Jackpot City’s customer service department can be reached at any time of day or night, seven days a week so there’s really nothing to worry about in that respect. First deposit of C$400. You get a bonus of C$400. You play with C$800. Second deposit of C$200. You get a bonus of C$200. You play with C$400. Third deposit of C$300. You get a bonus of C$300. You play with C$600. Fourth deposit of C$400. You get a bonus of C$400. You play with C$800. Note that Jackpot City does require you to play through your bonus. Their website states that players must meet the wagering requirements which are set at 50 times the bonus money you receive. This is a little higher than some of the competing casinos, but might be worth it for you if you think the bonus suits you. As with most other online casinos, not all games will be considered towards this wagering requirement so make sure to read through the casino’s bonus terms and conditions to see how you can make this work for you. For example, at Jackpot City, playing roulette will not help you towards meeting your wagering requirement goal. Jackpot City has a capable and willing support team. We didn’t have any problems playing at this casino, but we get the impression that should you need help, there will definitely be someone to talk to who is professional enough to give you proper assistance. Jackpot City’s cutomer service is also available via online chat which is a nice alternative to emails or having to make a phonecall. Jackpot City’s mobile version is powered by Microgaming so it’s no surprise that it runs amazingly and is a lot of fun to play. If you’re a slots game fan, you’re going to have a great time with this one. There’s also a nice selection of table games as well as baccarat. 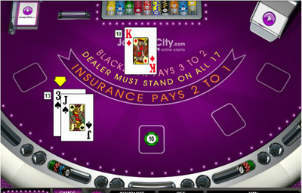 The Jackpot City app is great on tablets or smaller devices. Jackpot City is another hard-hitting casino experience bursting with great titles just waiting to be discovered. We love the feel of the casino, which is both exciting and classy. There’s also a lot going on in terms of regular casino promotions. You can earn loyalty points with their VIP program and participate in a variety of ongoing casino promotions. Some of these promotions pay out cash prizes while others offer cool gadgets and even dream holidays. Jackpot City is definitely an online casino worth trying so give it a spin and let us know what you think!